Turn Ordinary Meetings Into Extraordinary Meetings! Changing The Way You Brand Your Company! Your Marketing Strategy Starts Here! All marketing strategies begin with a strong brand. Your brand is how you are perceived to the world. Our professional team realizes the importance of brand presence and we align your brand with our products creating separation from your competition while getting attention. Whether branded apparel, promotional items or trade show stoppers, we have a solution to your marketing needs. Promotional products are used to promote brands, products, and corporate identity. They are used as giveaways at events, such as product launches and exhibitions. 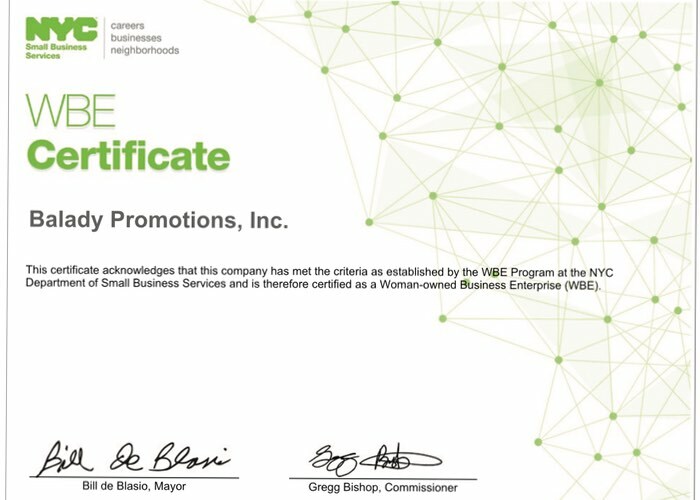 They are great for non-profit organizations to promote their cause. Branded Apparel is any type of clothing that can be used for marketing and communication campaigns. They can include shirts, jackets, hats, gloves, and more which are used to promote a company, product or service. At Trade Shows businesses showcase and demonstrate their specific industry showing their latest products and services. It is here that your appearance is extremely important to gain visibility thru your booth design and marketing materials. 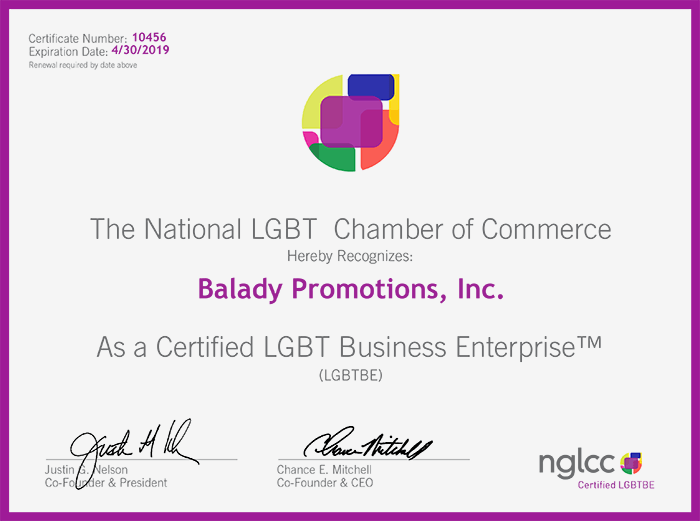 Balady Promotions has been helping businesses elevate their brand by providing exceptional quality products for over twenty-five years. Our exceptional customer service and quality control standards has made us the preferred partner to our clients. Our professional staff listens well and implements strategies that align with our client’s goals. Our philosophy is to help businesses by providing brand lift to all of our client’s strategic campaigns. We do this by immersing ourselves into your brand, so we can provide solutions that add value and create separation in the market. Joanne Balady, the founder of Balady Promotions, has surrounded herself with outstanding individuals while creating a team that strives solely for customer excellence. 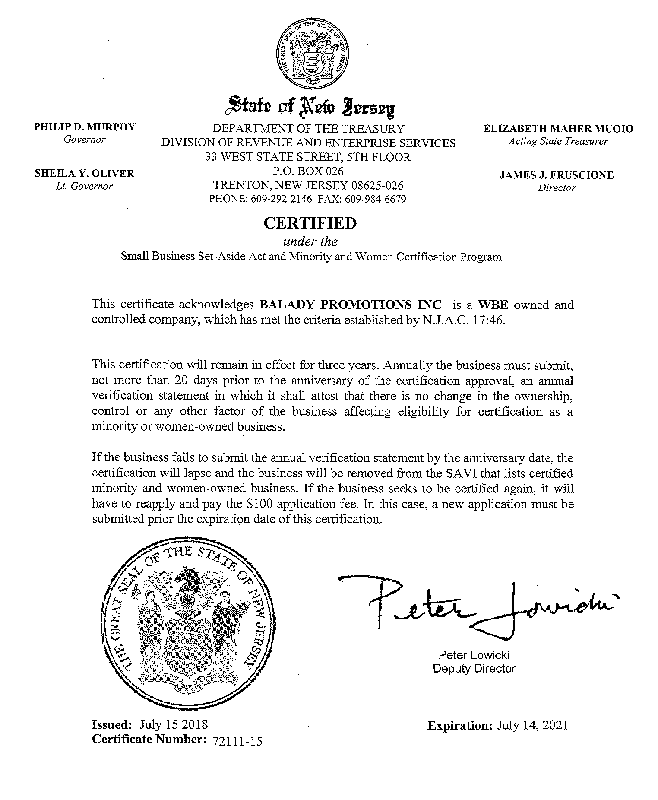 The entire team is instrumental in building long-lasting relationships, the cornerstone of Balady’s success. Frequently asked questions (FAQ) or Questions and Answers (Q&A) refer to either a list or text consisting of questions and their answers. At Balady Promotions here are a few commonly asked in some context, and pertaining to a particular topic such as clients, turn around time and affiliate programs. We hope to help you resolve a few questions. Many will be unanswered here, so please do not hesitate to contact us by phone at 973-682-8440, by email at sales@balady.com or simply by filling out our contact form. 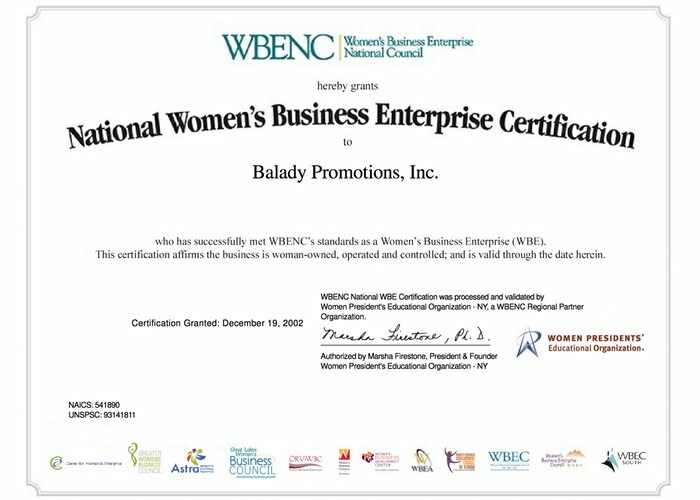 Balady Promotions works with everyone, from personal needs to small business to extremely large businesses. We have something for everyone! If you do not see what you are looking please contact us. One of our representatives will be happy to assist and help you with your ideas and what you are looking for. We offer 24 Hour Service on select items if you are in an extreme rush, with 48 Hour service providing a better assortment of products. Our standard production and most cost effective is 2-3 weeks depending on product category. Yes, we do have an affiliate program in which we enable customers to receive a commission for helping Balady Promotions generate sales. 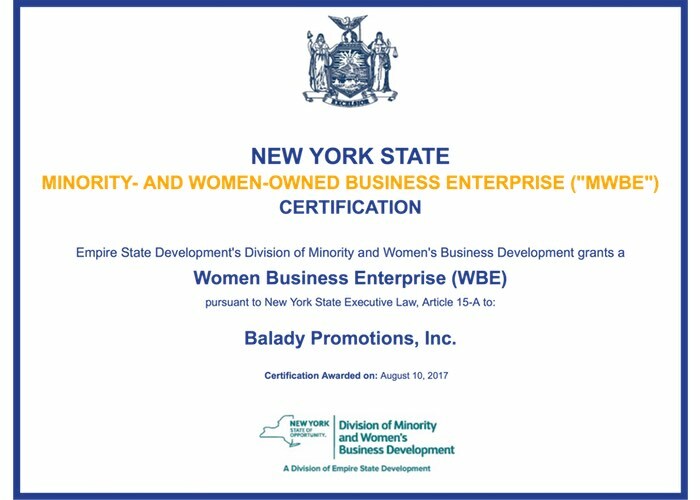 For more information contact us by phone at 973-682-8440, by email at sales@balady.com or simply by filling out our contact form. Drop us a line anytime, one of our customer service reps will be happy to work with you and answer all of your questions. Our creative solutions impact your world in fun and engaging ways through promotional products, creative services , brand solutions, fullfillment and distribution.